Launched in 1998, Plenty By Tracy Reese is a self-titled womenswear label and footwear line. 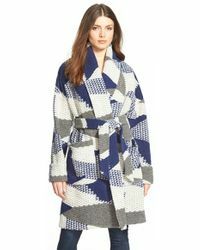 Characterized by feminine silhouettes, graceful draping and trend-aware touches, Plenty By Tracy Reese coats are formed in substantial fabrics such as plaid and jacquard to give them a dependable and durable quality. In this collection, look for oversized silhouettes kept reined in by cinched-in waistlines, and a medley of painterly prints, fluid shapes and original accents. 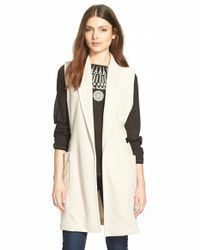 Easy to wear and always assuredly poised; Plenty By Tracy Reese coats make an unforgettable statement.